On July 29th, Tower 1 was placed in service ultimately replacing the almost twenty-year old Truck 1. This 2017 Pierce Arrow XT Mid-Mount has many features that will serve the Borough of Chambersburg very well. 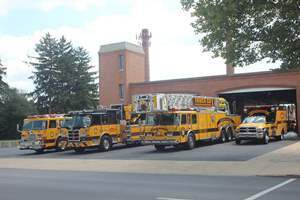 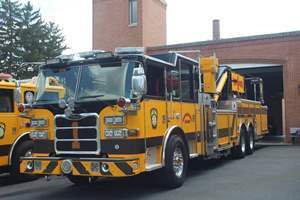 The officers and members of the fire department would like to thank the Borough of Chambersburg Council Members, Borough Manager, Motor Equipment Supervisor, and the Tower Committee for making this purchase possible and ensuring the safety of the residents and visitors of the Borough.